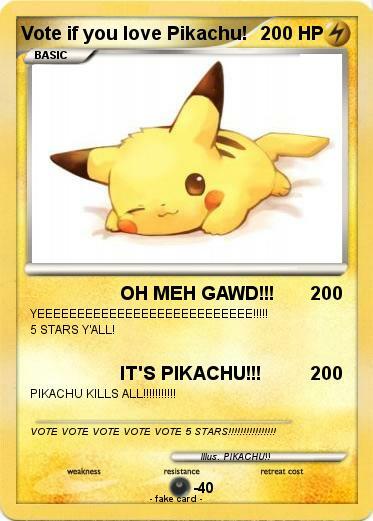 Name : Vote if you love Pikachu! Attack 1 : OH MEH GAWD!!! Attack 2 : IT'S PIKACHU!!! Comments : VOTE VOTE VOTE VOTE VOTE 5 STARS!!!!!!!!!!!!!!! !